Tosalet D.O.Ca. 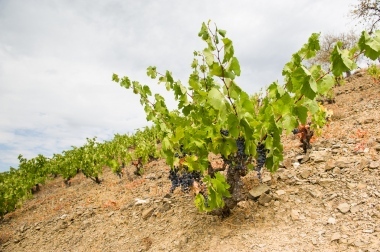 Priorat; at Tosalet, the grapes cluster and dangle like royal jewels on vines stretching across steep llicorella soiled hillsides in this regal land. A wine with a wealth of bold mature fruit gives a natural sweetness with dense color, great acidity and a unique minerality. 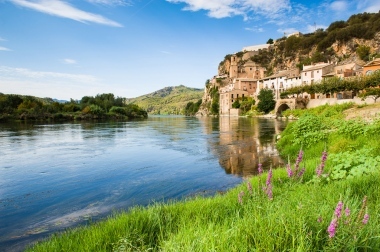 Priorat is protected from surrounding by mountain ranges in all directions. The viticultural region is built up of craggy hills formed by the two rivers Cortiella and Siurana and their tributaries, creating slopes in numerous angles and directions hence creating countless different terroirs. The vineyards are planted on the steep slopes or on small terraces, where the possibilities for mechanization are minimal. Vineyards are planted on altitudes between 100 m and 700 m above sea level. The area is characterized by its unique terroir of black slate with small shiny particles of mica known as llicorella. Vines are forced to grow extremely deep roots in these exceptionally poor soils in search for water and nutrients. The low yields and labor-intensive viticulture results in some of Spain’s most valuable and sought-after grapes.